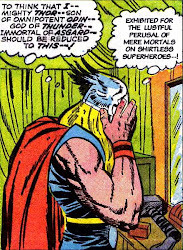 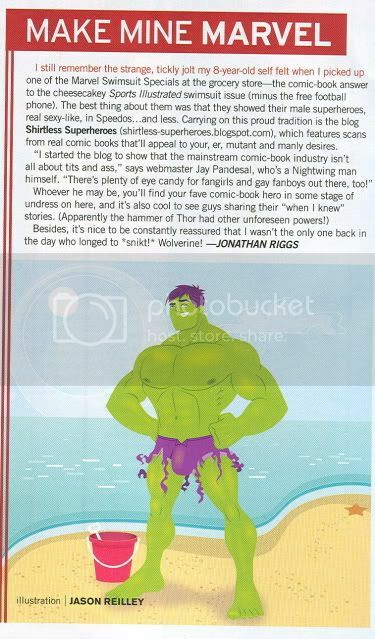 Posting about characters who are always bare-chested has always been a dilemma for me. 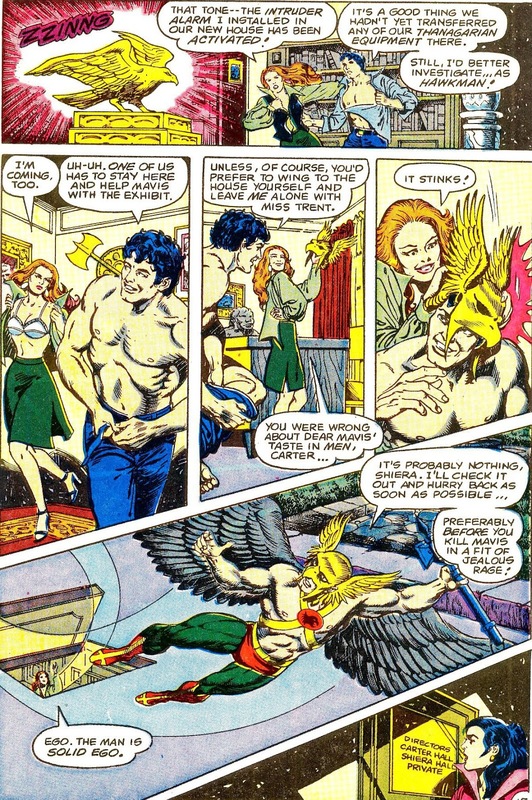 Do I need to post the panels in which they are shirtless (which would be every damn panel), or do I just pic & choose which panels to post? 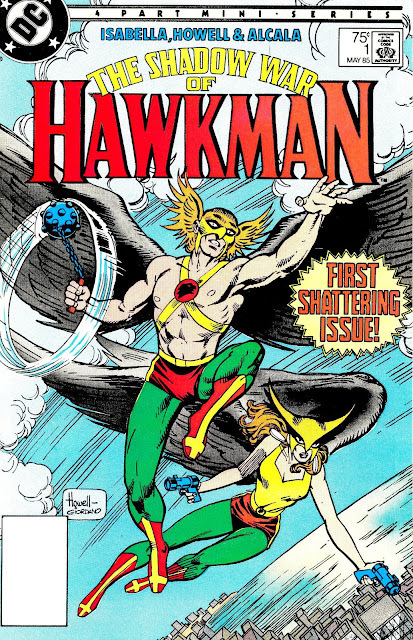 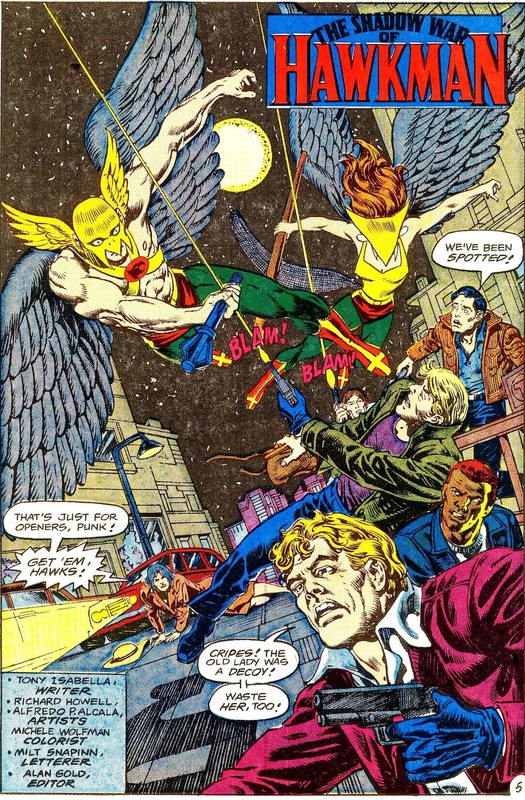 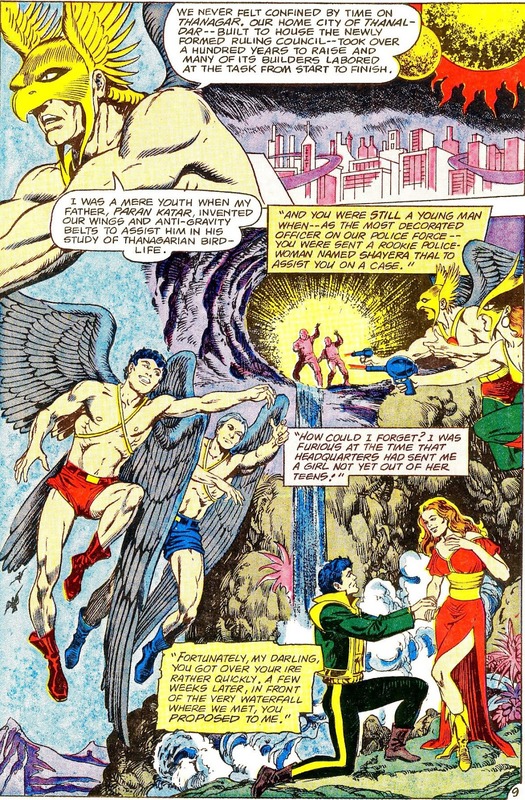 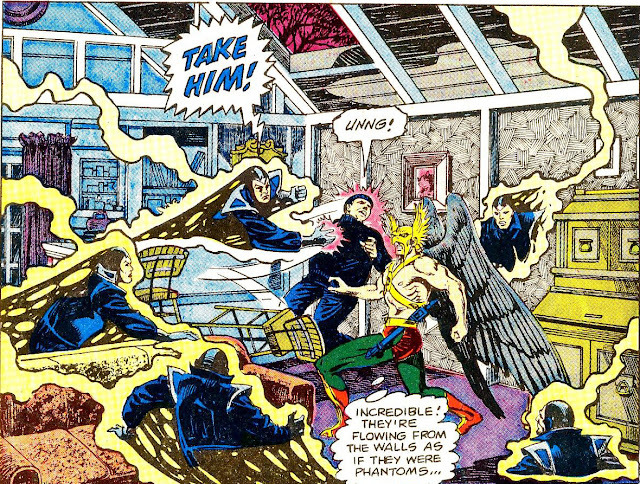 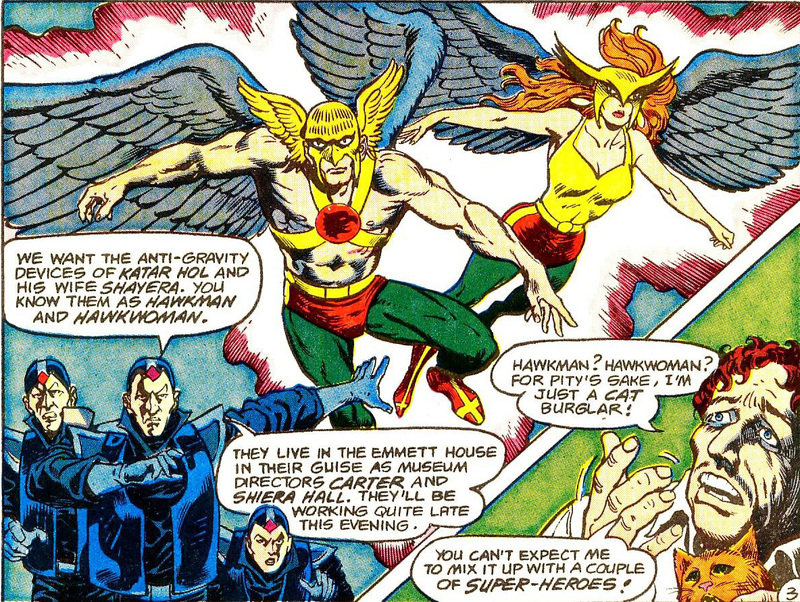 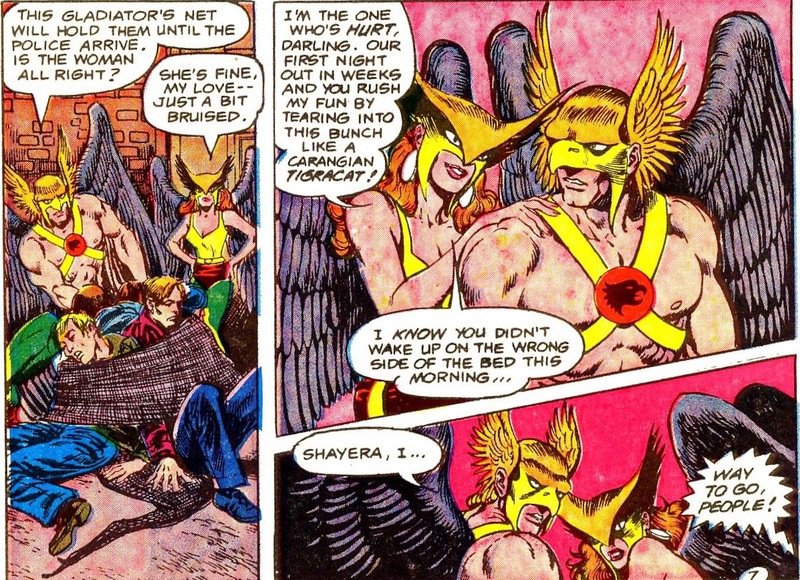 I chose the latter for these scans from The Shadow War of Hawkman #1. I love how the titular character has to actually has to take his shirt of to be in costume.